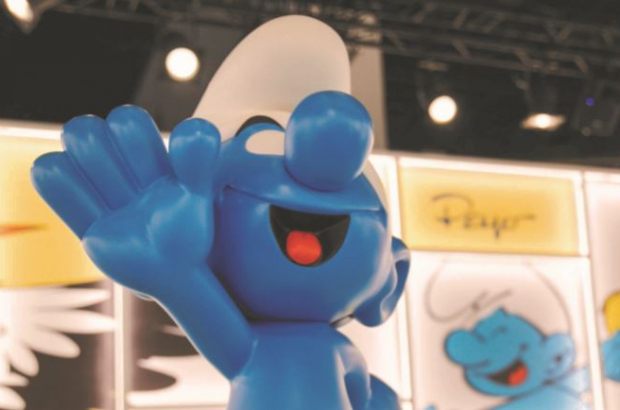 Almost a quarter of a million people celebrated the Smurfs' 60th birthday with a visit to the Smurf Experience at Brussels Expo, organisers have announced. The 1,500m² attraction closed on Sunday evening after an eight-month run, attracting 239,628 visitors, and will now embark on a 10-year world tour. "We're delighted with the successful numbers in Brussels," said Stéphan Uhoda, chief executive of exhibition organiser Cecoforma. "It bodes well for the next host cities." If you missed the opportunity in Brussels to plunge into the magical world of the little blue elves, the Smurf Experience's next destination is due to be announced later this week. The Smurfs first appeared as guests in another Franco-Belgian series in 1958 before their creator, Peyo, gave them their own dedicated world. The Smurf Experience recreates the Smurf village and surroundings with the help of special effects and cutting-edge virtual reality technology.